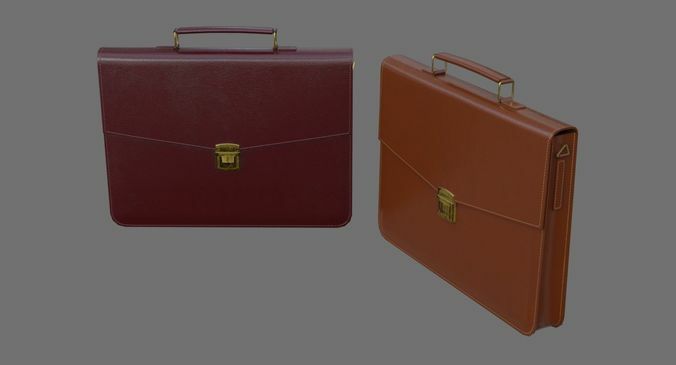 This is a model of a Briefcase. Originally created with Blender 2.79 and textured using Substance Painter. This model contains 4 separate objects. This model contains 1380 polygons. This model contains Blender Cycles materials. All preview images are rendered with Blender Cycles Renderer. Product is ready to render. Render setup is included as a separate Blender file, which is needed to produce images that match the thumbnails. Briefcase_1A_BaseColor_Orange.png 2048x2048. Briefcase_1A_BaseColor_Red.png 2048x2048. Briefcase_1A_Metallic.png 2048x2048. Briefcase_1A_Normal.png 2048x2048 X+Y-Z+. Briefcase_1A_Roughness.png 2048x2048.